Twitter has elevated above the tweets a long time ago. The important piece of the platform are pictures, memes, and videos. This slowly become Twitter’s forte and that’s why we’re concerned with Android users reports which state that the photos on the Twitter app won’t load. You can overcome this and we made sure to provide you with some commonly-used steps in the list below. From the get-go, let’s say that all social networking apps tend to pile up a lot of data. The developer’s intention is to speed up the loading time of images and video thumbnails and thus improve the user’s experience. But, on many occasions, the abundance of stored cache data can slow down the app performance. Also, in this case, it might prevent loading new photos. That’s why cleaning the data stored internally on your device might help. If the first step fails, the reinstallation is the next thing to try. We can’t be certain that will suffice, but it should give you a better insight into what started the picture-loading issue. 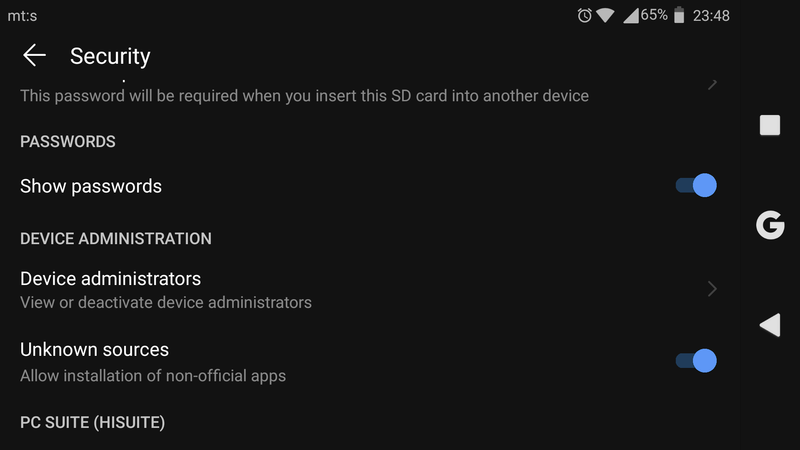 We suggest clearing the app’s backed up data from the Google Drive before you install it again. Open Settings > Apps > Twitter. 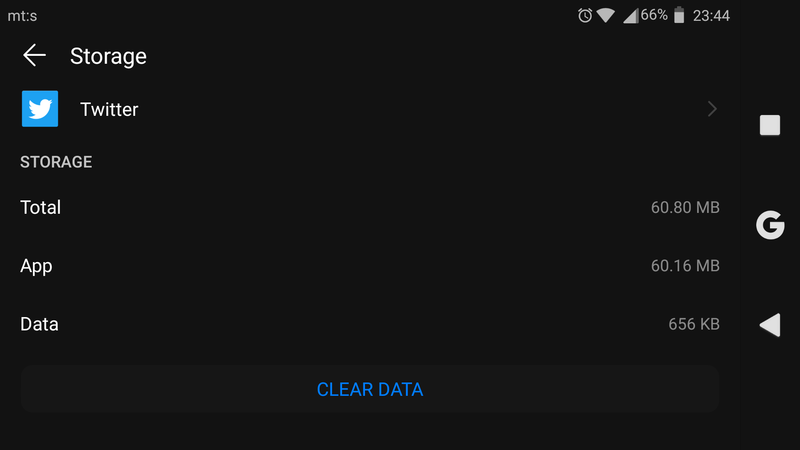 Now, open Google Drive > Hamburger menu > Backups > Your device > Apps > App data. Delete Twitter from the list. Open Play Store and install Twitter. If you have issues loading photos on Twitter only with mobile data, we encourage you to double check the network permissions. There’s a chance that your device won’t allow Twitter to access the Mobile Data. Of course, without even saying, you need to have at least tolerable network speed. Make sure that both Wi-Fi and Mobile Data are allowed. Finally, if the latest iteration of Twitter is just plain broken and it won’t work, you can always take a step back and download an earlier version. This can be done with the APK file. We remind you that these apps, won’t get updates through Play Store, so you can stick with the functional version as long as you like. They’re perfectly safe to use, so we encourage you to use them when needed. Navigate to Settings > Advanced settings > Security. 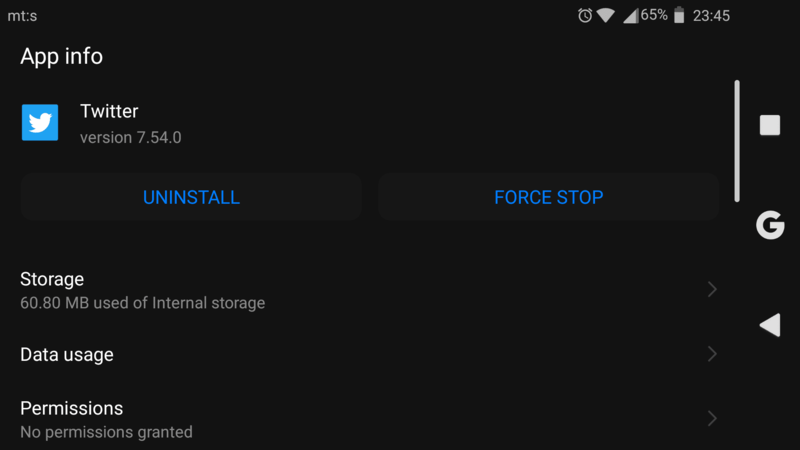 Enable installation of non-official apps. With a phone web browser, navigate to the APK Mirror website, here. 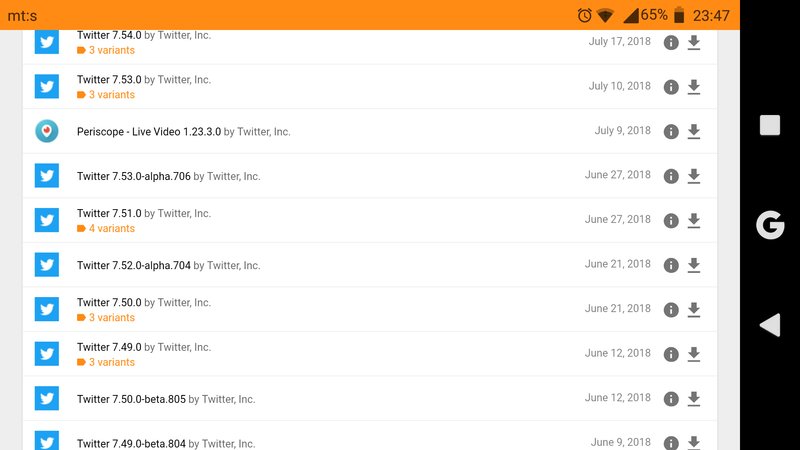 Browse available Twitter versions, choose an older iteration and download it to your device. Install the APK and open Twitter. After that, you should be able to see all the photos or beloved memes again in your Twitter feed. On the other hand, after some time, you can also try deleting the APK version and install the official version from the Store. Most of the bugs get addressed over time. Don’t forget to tell us about the final results and whether the aforementioned instructions were helpful or not. The comments section is just below.